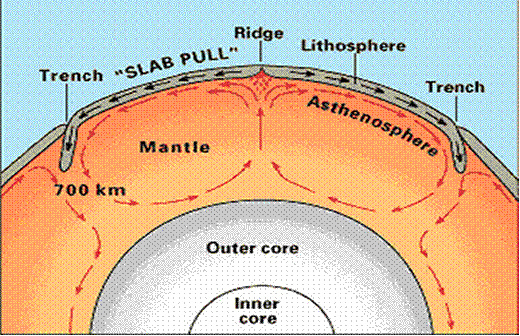 convection currents in the mantle. the high tides of the oceans. prevailing winds in the jet stream. 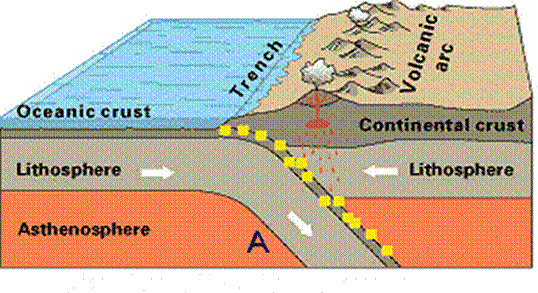 What is the primary cause of volcanoes and earthquakes? 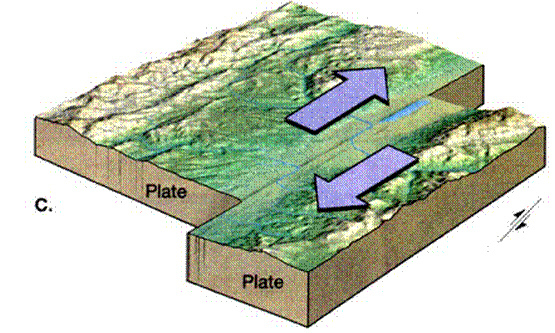 What landform is created when two continental plates collide? 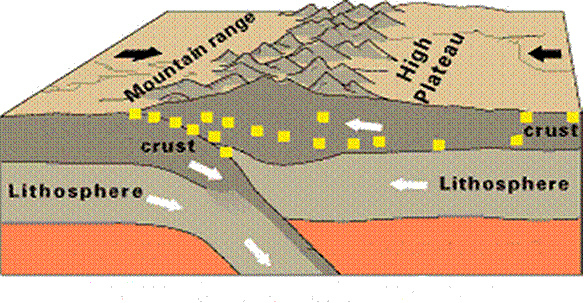 What was used to discover that the youngest rocks were near the mid-ocean ridge? What kind of boundary is this? Why is there a volcano on this boundary? What type of boundary is this? What does letter A represent? Which layer has the greatest temperature and pressure? 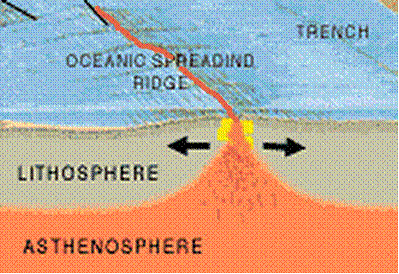 Why does oceanic crust sink below continental crust?